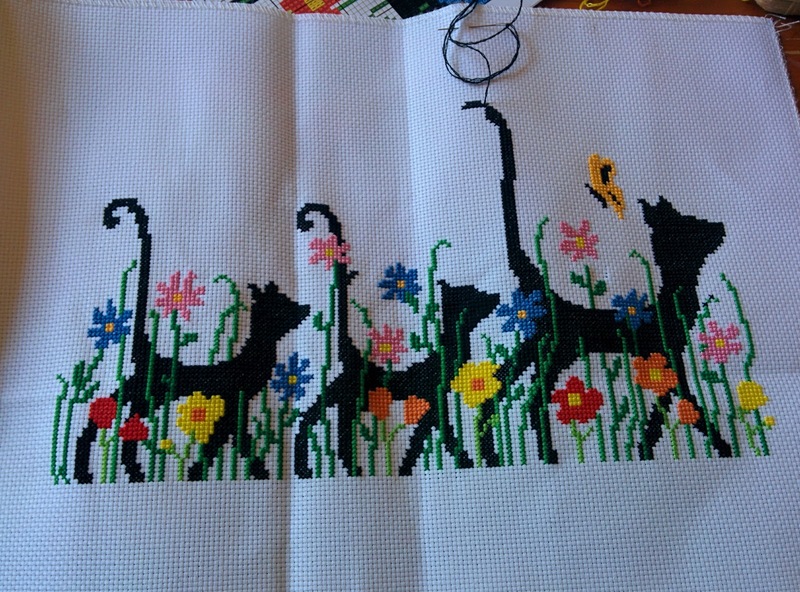 The tail of the momma cat just needs a few more stitches that I was too tired last night to stitch. The back stitching on this piece is fairly minimal so hopefully the stitching on this piece will be completed this evening while we hunker down on the dark and cold January night. My Canadian version of the Danish hygge is to curl up on the couch with my guy and to wait for Maggie, our black Lab, to wiggle her way in between us. We usually have an herbal tea to ward off the chilly night while I stitch away and my guy watches TV. 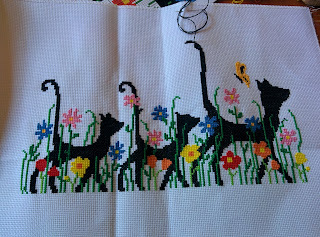 I am still undecided as to whether I will make this into a quilted wall hanging or perhaps stretch it over a canvas or a piece of plywood to hang on the wall. More to follow!